With relentless focus on productivity and quality, Gedee Weiler Pvt Ltd has invariably met the dynamic demands of its customers, winning them over and over. Besides being the pioneer in manufacturing CNC lathes in the country, the company has been steadfastly challenging the status quo to emerge on top in the machine tools space. 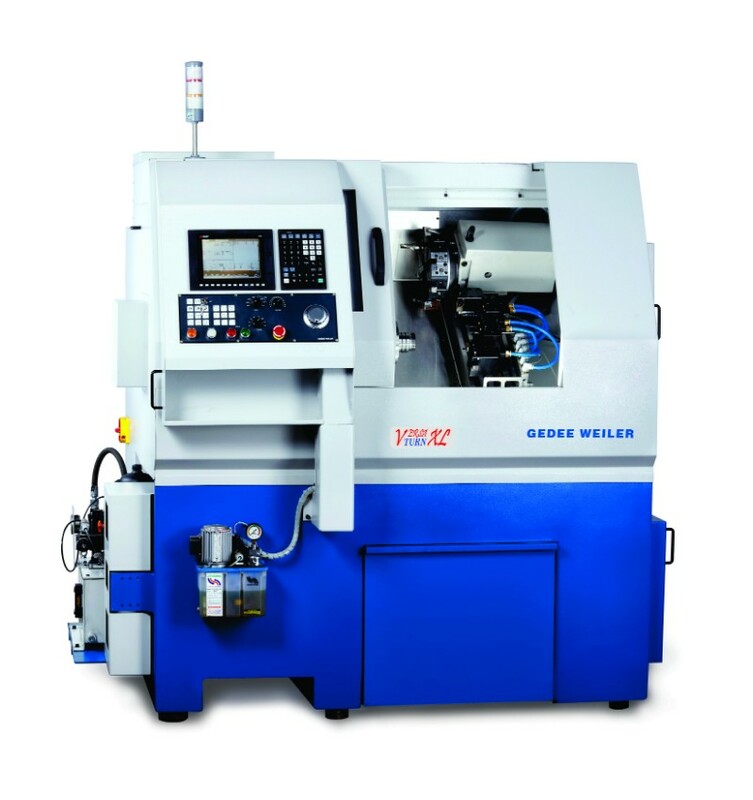 A leader in machine tools for small components and precision applications, Gedee Weiler Pvt Ltd has come a long way from when it commenced its journey as a joint venture company between the leading industrialist from South India, GD Gopal, and the technical and financial partner, Weiler Werkzeugmaschinen from Germany for the manufacture of sophisticated high-precision lathes in India. The company today operates out of a sprawling facility spanning 20 acre with a present turnover of `56 crore and a target of `65 crore for the next fiscal. Its major Indian and international customers include Lucas TVS Ltd; Durovalves India Pvt Ltd; Patton International Ltd; Tata Advanced Systems Ltd; Indian Space Research Organization (ISRO); LG Balakrishnan & Bros Ltd; GDW Werkzeugmaschinen GmbH, Germany; Dr.-Ing. Robert Stopp Werkzeugmaschinen GmbH, Germany; PT. Buana Prima Raya, Indonesia; RYU Technology Co., Ltd, Thailand; Quality Machine Tools PTY Ltd, Australia; and Al Nasr Engineering L.L.C, Dubai. During this period, Gedee Weiler also changed its sales and marketing approach and gradually established its own direct and dealer network throughout India. A major expansion has taken place since in sales, service and dealer network throughout India in addition to setting up a tech center in Faridabad in the year 2017 and a corporate tech center at Coimbatore headquarters in 2018. “Mother machines like duplex bed type milling machines, 5-axis machining centers, double column 5 face machining centers, double column slide way grinding machines and cylindrical grinders of world renowned brands form the backbone of our infrastructure,” reveals Subramanian. 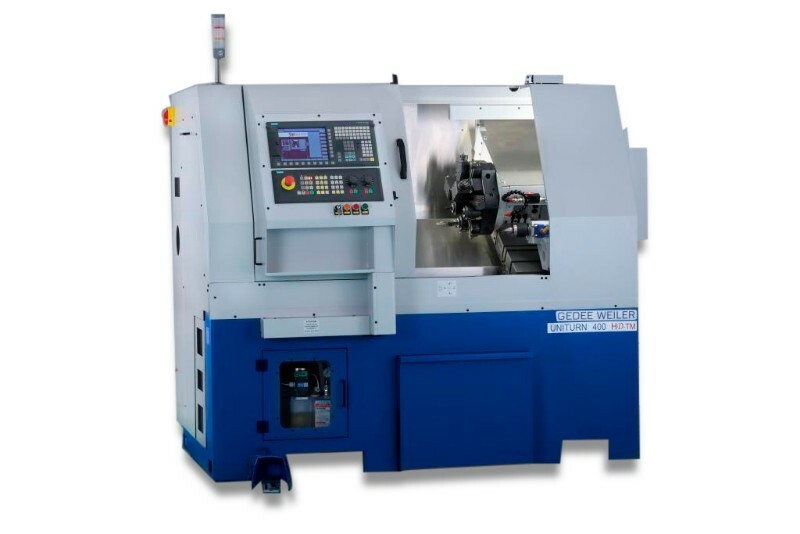 Hermle 5-axis machining centers, Studer and Schaudt CNC grinders, Schneider double column grinding machine, and Reishauer thread grinding machines are some of the brands of the mother machines the company has deployed. “We have in-house fabrication facilities equipped with Siegmund welding tables which ensure the bases of the machines are welded precisely without any distortion. Apart from this, we have an in-house painting facility and state-of-the-art quality control set-up including coordinate measuring machines (CMMs), height masters etc.,” he adds. “Lastly, a team of dedicated, qualified engineers and a highly skilled work resource in design, engineering, manufacturing and assembly ensures quality in our products at various stages,” he further adds. As the Gedee family itself is well-known for its innovative traits, the organization is focused on the development of new products and solutions, and innovative ideas from different levels within the organization are nurtured and encouraged. “We are focused on offering turning solutions for a range of components up to dia 200 mm and for a length of about 500 mm in different materials like Steel, Cast iron, Aluminum, Teflon, etc.,” informs Subramanian. He adds that the machines find wide applications in the machining of small parts for auto components like Engine valves, Piston rings, Crank shafts, Gear blanks, Drive shafts, Gear shift levers, Auto electrical parts like Armature shafts, Wiper motor covers, Yokes, Steering rods, Kick starters, etc. “While typically around 50 percent of the machines are supplied to the auto component industries, other major segments are in general engineering like pumps, valves and bearings. As we offer customized and tooled up solutions, we have a good number of machines working in the jewelry industry, special applications in the white goods industry, high-precision tool rooms in the aerospace industry, hard turning applications in the auto component sector, and also surgical screws,” he shares. The company’s CNC and conventional machines find wide acceptance in the education sector too wherein it regularly supplies machines to leading institutions like IITs, Cipet, etc. Another noteworthy point is that Gedee Weiler is the largest exporter of machine tools to Germany from India. 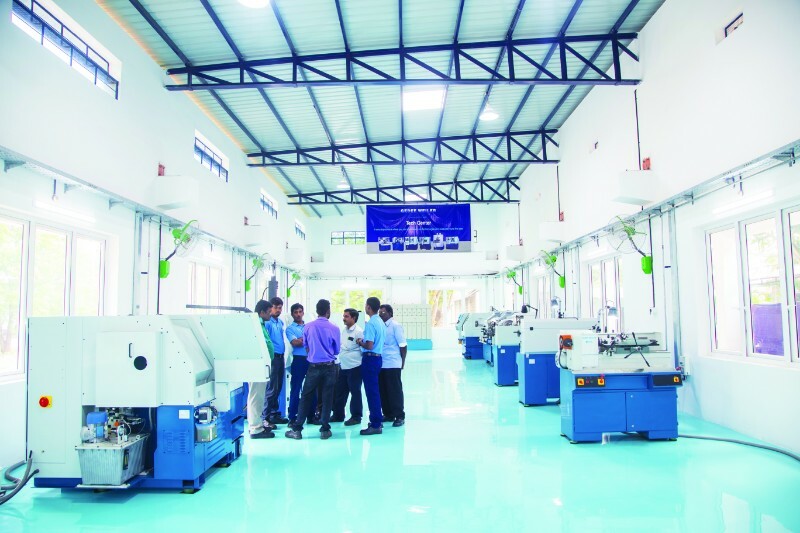 “We have supplied around 1500 machines in around five years including high-precision conventional lathes, CNC lathes in SKD conditions and also a number of CNC machines,” adds Subramanian. Apart from Germany, the company has a good presence in Indonesia where it commenced its business about two years ago and has already supplied nearly 100 machines including CNC lathes and turnmill centers. “We see a lot of potential in markets like Thailand, Malaysia and Vietnam in the coming years, where we have already started focusing our attention,” he shares. Gedee Weiler’s philosophy has been to offer innovative solutions to customers that enable them to meet the quality and productivity demands of the market at a competitive price, thus maximizing their profits. “That GD Rajkumar, Director, Gedee Weiler Pvt Ltd has in his name a patent in Germany for the innovative bed design of a CNC lathe, essentially meant for precision tool room applications which is primarily exported to Germany, stands testimony to our passion for innovation,” says Subramanian. The company focuses not only on developing innovative machine tools, but also makes continuous efforts in identifying the latest technologies that are available in workholding as well as tooling from across the globe which enhances the productivity, precision and flexibility of our machines. “We have technology partners in Germany and there is a constant interaction between our Engineering / R&D, Application and Production personnel that helps us update our talents and give exposure to the global technology trends,” he adds. With the aim to provide technical competence to the young talent and impart them with the skills required by the industry, the company in the year 2002, started its own Gedee Technical Training Institute (GTTI). 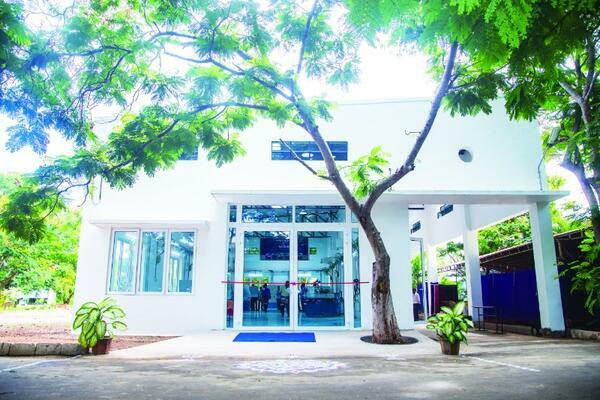 A unit of GD Naidu Charities, the institute is located in a self-contained campus in the heart of Coimbatore with all the facilities and infrastructure to suit international standards. “With the state-of-the-art machinery, equipment, design software and industry exposure, we endeavor to develop trainees with the skills to compete in a global arena,” states Subramanian. GTTI has formulated a structured syllabus based on German and Swiss standards of training and also similar to the German dual system of learning. The company keeps adding innovative products to its already exhaustive range. The newest ones were launched at the recently held IMTEX 2019. They include: the Versaturn, a slant bed long stroke machine is the first of its kind product in India. In the Universal line, the new Uniturn - 400 HD TM is equipped with 12-station dual pitch live tool turret which caters to medium range of components of dia 150 up to a length of 250 mm. “FlexturnNeo Twin, with a servo gantry loader, is another which is provided with two chutes at two ends and takes the fastest floor to floor time. This unique concept of the machine with two opposing spindles enables masking of the loading, unloading time with the machining time and thus ensures highest productivity, making it ideally suited for mass production of automobile components,” notes Subramanian. “Investment in new technologies for capability enhancement as well as capacity expansion is an ongoing process and we have been upgrading our facilities continuously,” he stresses. 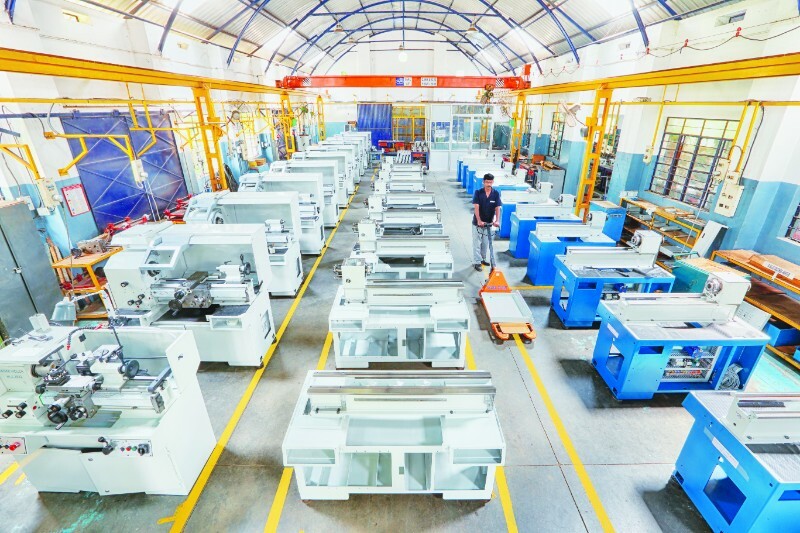 The company has doubled its sales turnover in the last three years which was possible with the addition of CNC 5-axis machining centers, high-precision CNC grinders, single spindle twin turn vertical turnmill machines made in-house and certain other balancing equipment during this period. “We are confident to double our current turnover in the next three years,” notes Subramanian. Gedee Weiler has been receiving excellent response for the newly launched products and, therefore, plans to focus on such automated and customized solutions in the coming years.